Hi! When Rihanna released her most recent MAC VivaGlam lipstick, I knew it was one I had to own. 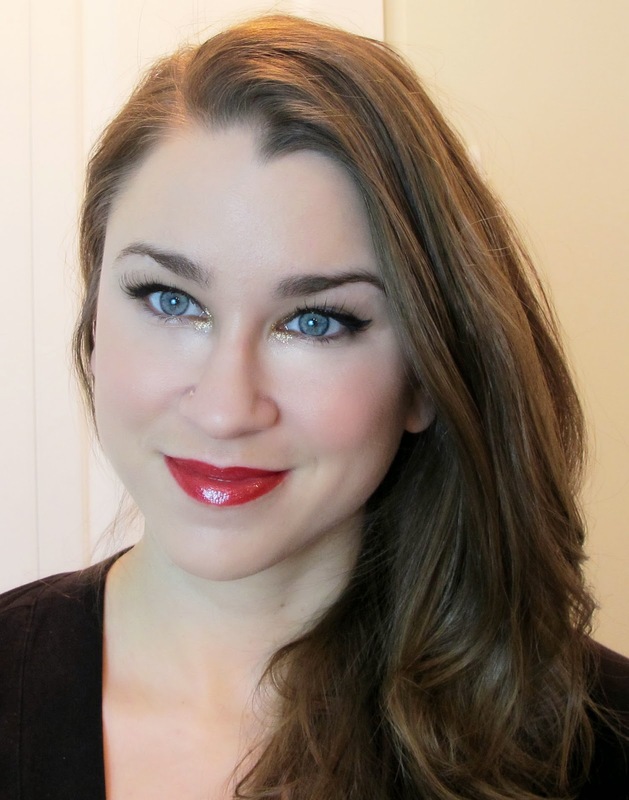 I loved how it was a gorgeous red, but was also packed with shimmer. I even got the matching gloss! I thought it would be great for a special occasion, and with Valentine's Day coming up, its the perfect opportunity! 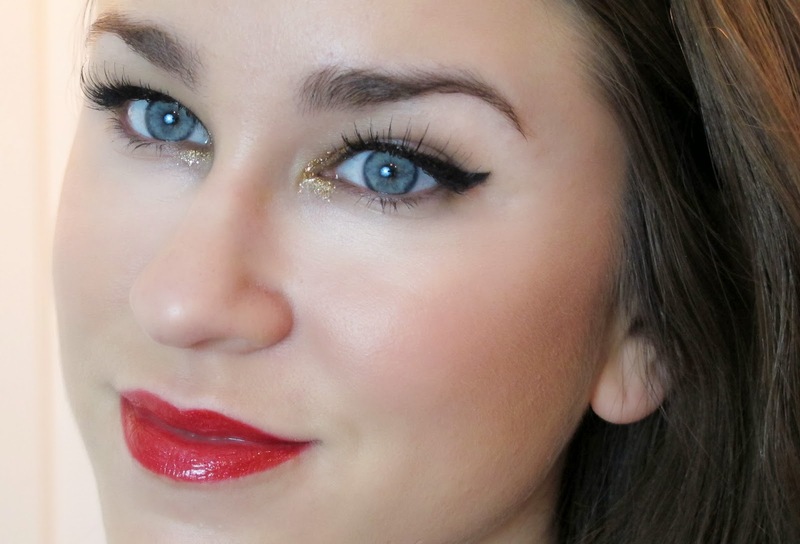 I decided to pair the bold lips with simple, yet interesting eye makeup. Enjoy! This eye makeup only has a few key steps. 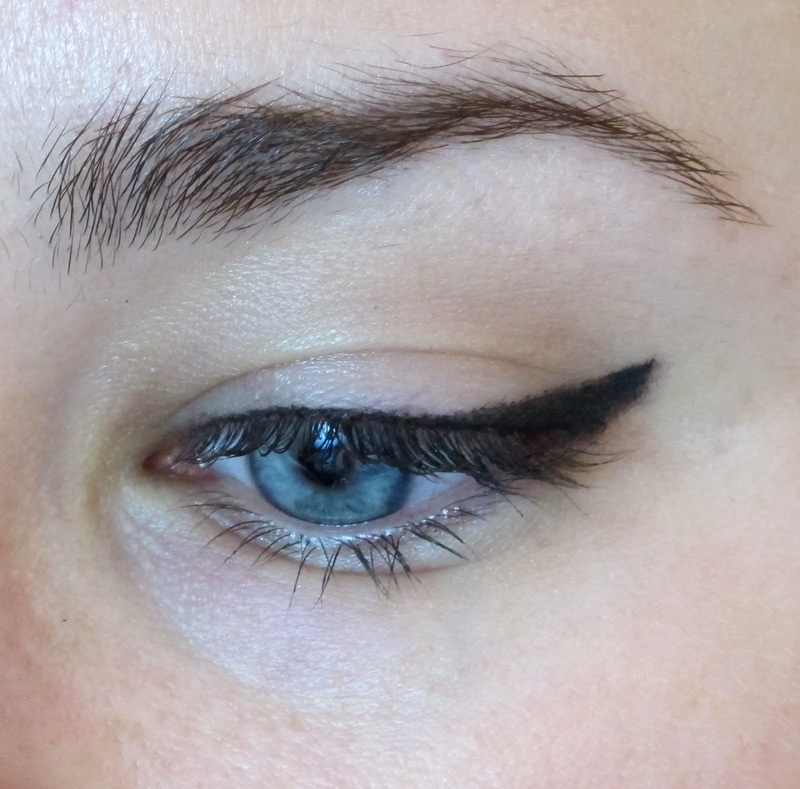 To start off, use black gel or liquid liner to create a strong winged shape. 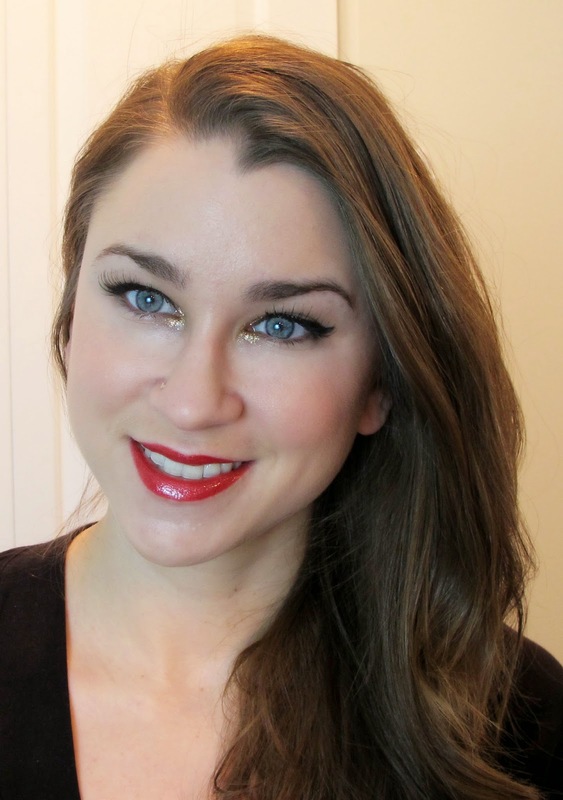 I like to keep my liner very think along the lash line so that it doesn't make my eye appear smaller. 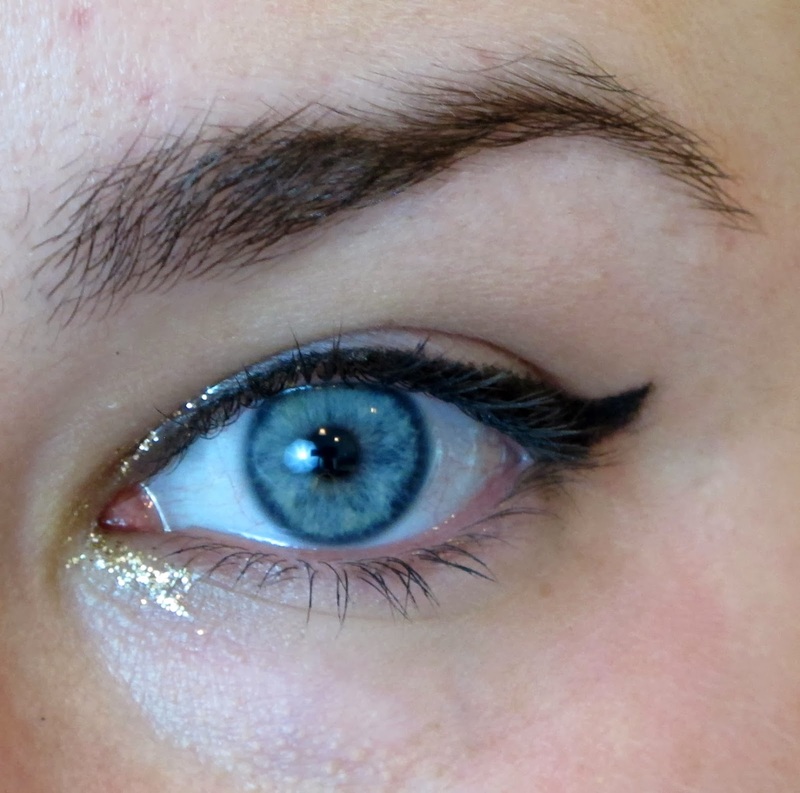 Next, I added some gold glitter liner from Urban Decay to create a base for the gold pigment. Place it in the tear-duct area as well as just underneath the eye. 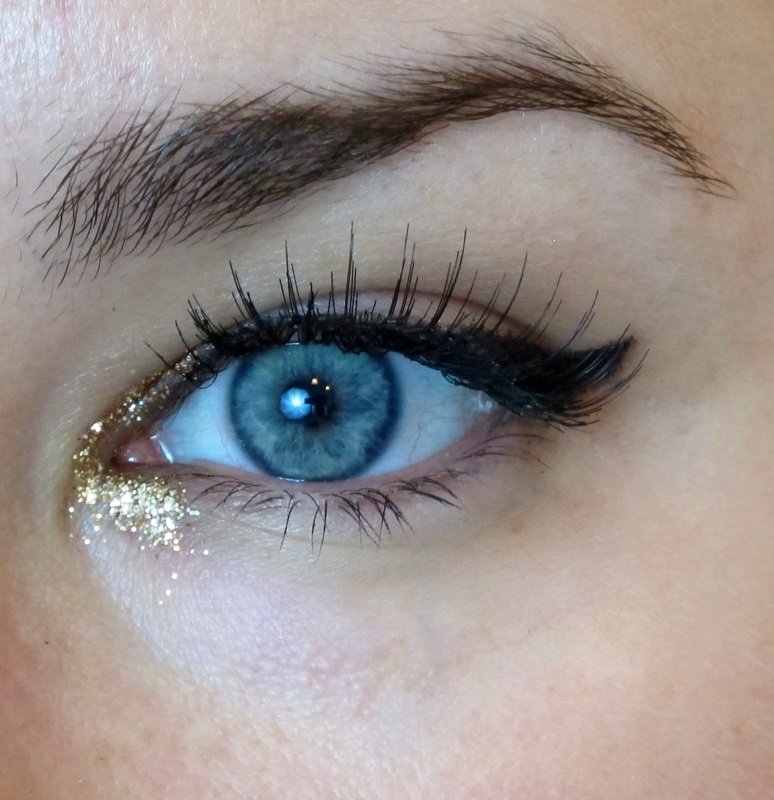 Pack on the glitter! I chose MAC's Gold glitter pigment for this. As usual, I sprayed a pencil brush with setting spray and then dipped it into the pigment. Then, gently press the pigment in the desired area, it should stay put nicely! 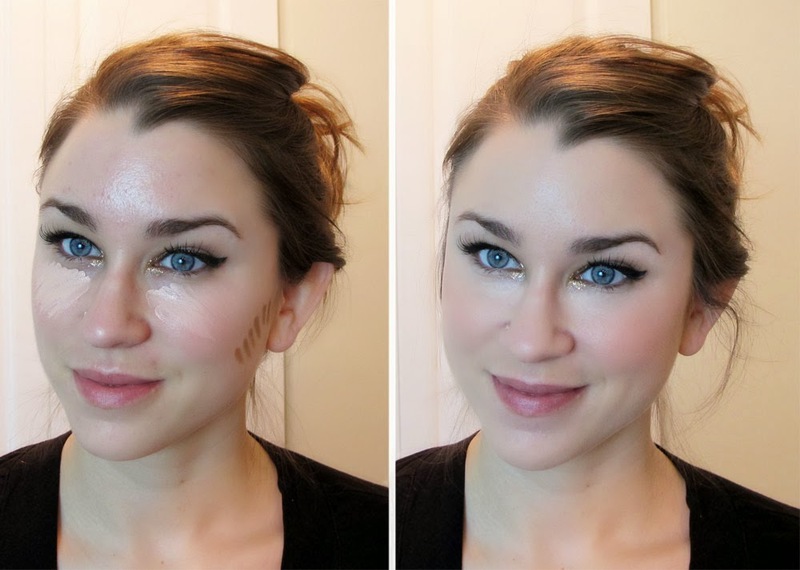 Add a few coats of mascara and some false lashes for added drama! That's it for the eyes! Time for the skin! I applied Marc Jacob's highlighting pen underneath the eyes and used my Urban Decay stick concealer in a deep color for the contour. I used Chanel Perfection Lumiere foundation and a damp Beauty Blender to blend everything together!